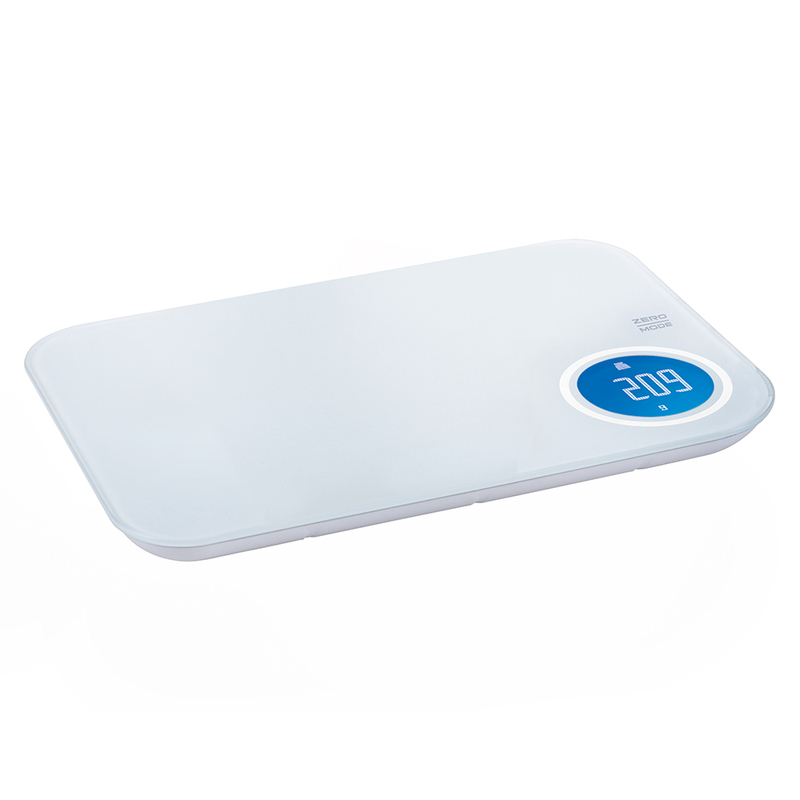 Avanti's Bluetooth Nutritional Smartscale is a scale like no other. Not only will it weigh your food, it will also give you a break down of the foods nutrient value and cleverly allow you to store this info on your iPhone, iPad or Android device in a blink of an eye. The free downloadable app boasts a large database with the nutritional value of thousands of foods, while also allowing you to add your favourite homemade meals and tasty snacks, personalising it to suit your diet. Made with a 3mm high quality tempered glass top. Features an LCD screen with backlight and an easy to operate touch button. Features a high precision strain gauge sensor that accurately measures in 1 gram increments to a maximum of 5kg, also providing volume measurements of both liquids and dry foods. Bluetooth function with free App download, smart device compatible (Device requires Bluetooth verson 4.0 or above, Apple iPhone 4S or later, Apple iPad 3 or later, iOS 6.0 or later, Android 4.3 or later). App allows you to track your daily food intake in a 'Diary', counts your calories, gives you a nutritional breakdown of the foods you eat (protein, fat, salt, calories, carbohydrates, cholesterol, sodium and fibre) features a sizeable preloaded food database and much much more. Zero, tare and mode conversion with touch button. Dimensions: 23cm (w) x 16cm (l) x 2cm (d).